IMMACULATE INSIDE AND OUT! 4 cylinder, 5 passenger 5 door hatchback with ONLY 97k miles. UPSCALE 'EX' model well equipped with AUTOMATIC transmission, A/C, Bluetooth, power sunroof, cruise control, power windows, locks and mirrors, etc. 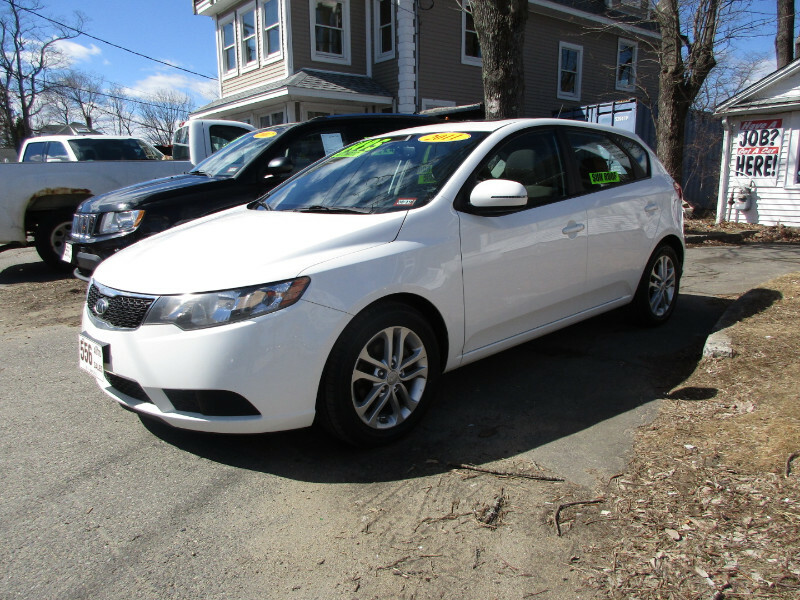 Includes warranty, NH safety and emissions sticker, 20 day plate. Additional contact evenings and weekends, Dave, call or text (603) 944-6525. Message: Thought you might be interested in this 2011 Kia Forte 5-Door.